My friend asked me recently if I would make her daughter some pumpkin soup. I said yes, even though I myself have never made pumpkin soup. I found three versions I wanted to try, two had spices added to them, and this one was a basic one. 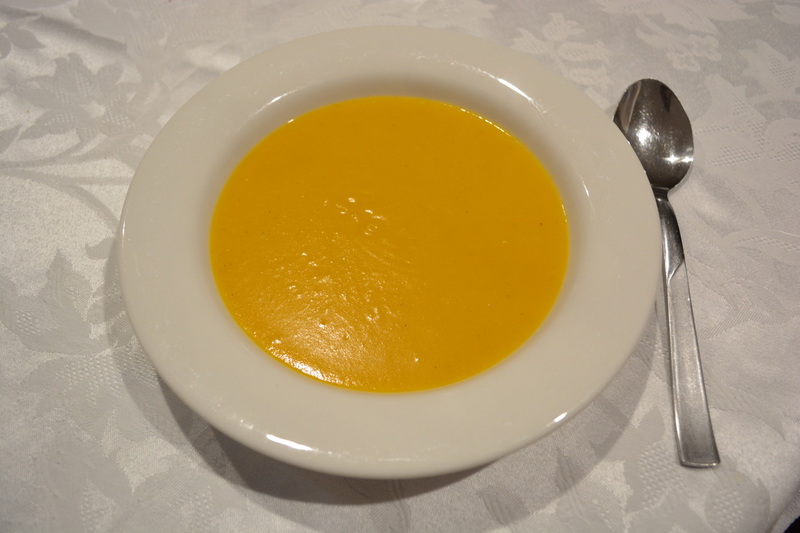 I myself loved the ones with spice added to them, but my friends daughter loved this version for it's pure pumpkin soup flavour. 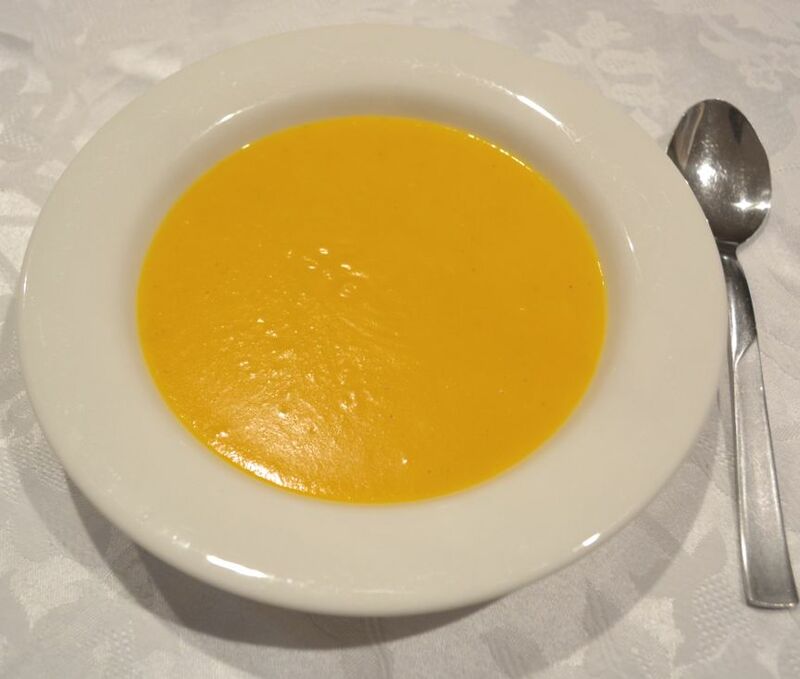 So I post this for those that love a simple pumpkin soup. It is lovely, sweet and the flavour of pumpkin shines. The pumpkin is baked to give it a richer flavour. And the key to this soup is blitz it well, you want it to creamy and smooth. Melt butter in a baking tray. Toss the pumpkin and carrot in the butter and bake for 45-60 minutes or until golden and soft. Place the pumpkin in a large saucepan. Add the stock, season with a little salt and pepper, bring to the boil, simmer 5 minutes. Turn off the heat. With a hand held blender, blitz the soup until smooth. Add the cream, season with a little more salt and pepper, if needed.